FESTEVOL returns this April for its 2017 edition with a stacked lineup of fresh new talent, Getintothis’ Jake Marley has the details. Following the success of 2016’s Camp & Furnace edition FESTEVOL returns for 2017 with a new home and its biggest lineup yet. 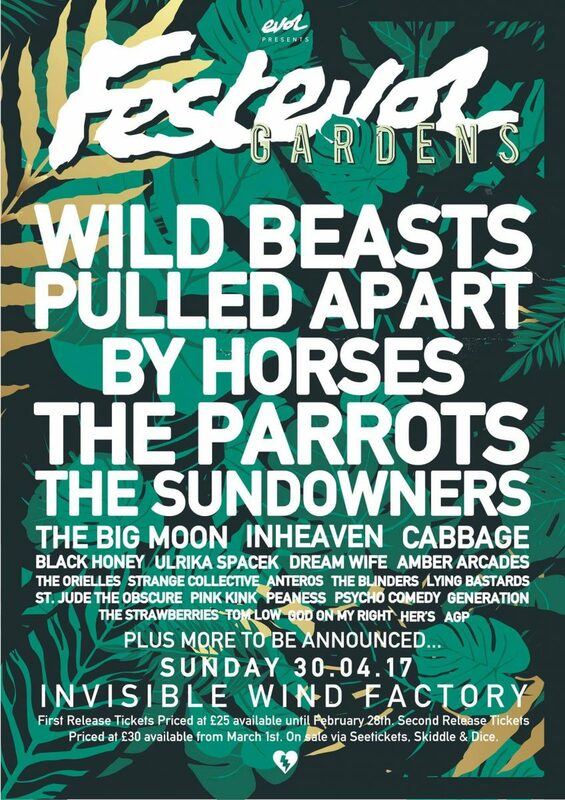 Now billed as FESTEVOL GARDENS the new music heavy all-dayer returns April 30, taking place at its new home, Liverpool’s Invisible Wind Factory. Now the full lineup has been revealed with over 20 new additions joining the first wave announcement of Wild Beasts, The Big Moon, The Parrots and Ulrika Spacek. The festival will span three stages making use of The Invisible Wind Factory’s wonderful space with never used before basement and outside stages running alongside the main stage. In terms of the lineup showcasing the finest emerging talent is certainly still top of the agenda for EVOL with Liverpool’s new crop of artists and a variety of the freshest catches from further afield making up the bulk of a stacked bill which also features a refreshing amount of women. 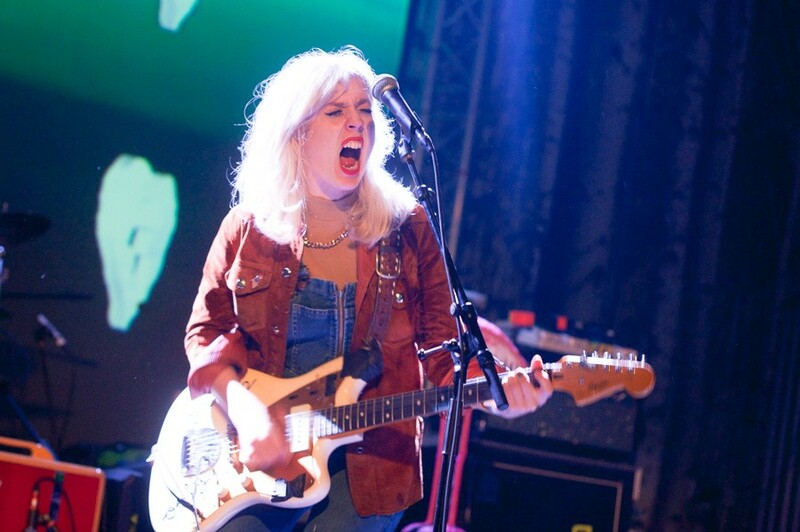 There’s hot live acts wherever you look with one of last year’s standout bands Black Honey returning alongside a trio of bands causing quite a buzz on the UK live circuit in the past 18 months in Dream Wife, INHEAVEN and Cabbage. The first of many Merseyside representatives The Sundowners and Leeds band Pulled Apart By Horses also join the fun, both of whom have been busy prepping new records likely to be teased at the festival. There’s also a place for Anteros, an exciting emerging outfit who will open for Two Door Cinema Club in Liverpool on February 2. The good health of the Merseyside scene is there for all to see too with Pink Kink, Her’s, Peaness, Strange Collective, Psycho Comedy, Tom Low, AGP, Lying Bastards, Generation and God On My Right all involved. There’s also a place for Liverpool duo St. Jude The Obscure, formerly Feral Love who are among those returning having shone brightly at last year’s festival. Exhuberant new Heavenly Recordings signees The Orielles, Amber Arcades, The Blinders and The Strawberries complete the latest announcement. There will be one more wave of artists announced next month in the run up to the festival. FESTEVOL GARDENS all-dayer takes place at The Invisible Wind Factory, Liverpool, April 30. Tickets are available now and you can listen to a playlist of the full lineup below.